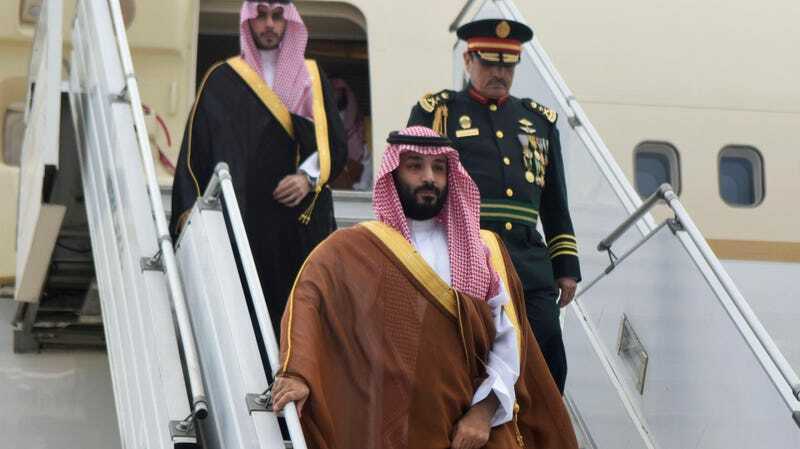 Saudi Arabia’s Crown Prince Mohammed bin Salman deplanes at the airport in Buenos Aires, Argentina, Wednesday, Nov. 28, 2018. Amnesty International on Thursday said it had submitted a formal request to Israeli authorities two weeks ago asking that the export license of a Herzliya-based hacking firm be revoked over reported efforts to sell Saudi Arabia sophisticated surveillance software. The Israeli Defense Ministry reportedly declined the request, prompting Amnesty to consider legal action instead. In August, the human rights organization claimed one of its members had been targeted via WhatsApp by a hostile government using Pegasus, a powerful surveillance tool developed by Israeli hacking firm NSO Group. Other sources, including Citizen Lab, a research center at the University of Toronto, recently presented evidence that Pegasus was used to target multiple Saudi dissidents with ties to Khashoggi, according to Forbes.